For my recent Mediterranean Kabob Party, I aimed to have a Mediterranean inspired spread for our guests. 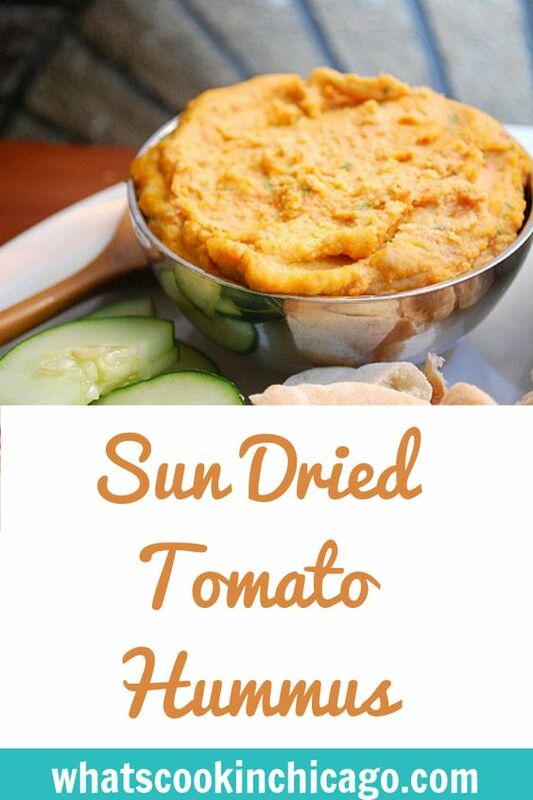 This flavored hummus was a hit and so easy to prepare! All the ingredients are processed together and chilled before serving so flavors can meld. 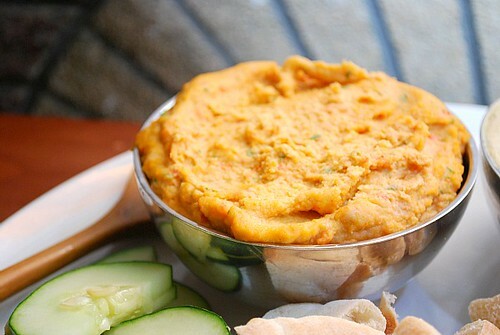 The flavor is bright and goes especially well with fresh cucumber slices, baby carrots and warm pita bread. Mmm this is my favorite type of hummus to buy at the grocery store. We'll have to try this sometime. We always seem to have two of the main ingredients in the house - chickpeas and sun dried tomatoes. Looks great! I love to snack on homemade hummus. The store-bought versions can't even be compared to homemade. I'll definitely have to try this version, as I love trying new hummus recipes.